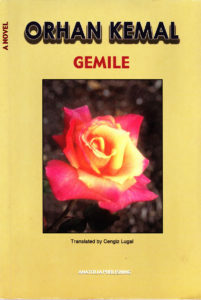 The latest addition to my website is Orhan Kemal‘s Cemile (Gemilé). This is a fairly realist tale about a cotton factory. A small group within the cotton factory are trying to sabotage the work of an Italian engineer, to get rid of him. At the same time, they are planning to kidnap a young Bosnian woman, whose family have immigrated to the area, as she refuses to marry one of their number and would prefer to marry a young clerk. Her father and his friend used to be guerrillas in Serbia, fighting the Christians, while the rich factory owner hired and supports the Italian engineer. Both plots blow up at around the same time. Orhan Kemal had a considerable reputation in Turkey but has never really become known in the English-speaking world. 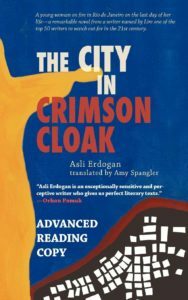 The latest addition to my website is Aslı Erdoğan‘s Kırmızı Pelerinli Kent (The City in Crimson Cloak). This novel is set entirely in Rio de Janeiro and tells the story of a Turkish woman, Özgur, who has been living there for two years. She hates the city, the squalor, the violence, the drugs, the heat and humidity. She is broke, depressed and lonely. However, she is determined to stay there till she has, as she says, written the city. She is writing a novel called The City in Crimson Cloak, a quasi-autobiographical novel about a woman called Ö, whose story is similar to hers, but somewhat enhanced. We follow her on day in which she wanders round the city, seeing its horrors and bemoaning her fate. The day does not end well. 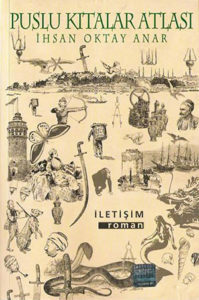 The latest addition to my website is İhsan Oktay Anar‘s Puslu Kıtalar Atlası [The Atlas of Misty Continents]. This a wonderfully inventive, quasi-historical, very funny novel set in late seventeenth century Istanbul. It is full of colourful characters: a man who creates an atlas by imagining the places, a cuddly but very real bear, a book owned by Lawrence of Arabia, a siege of a Bulgarian town, a crack thief who disguises himself as a woman to get into other people’s houses and ends up as King of the Beggars, known as Pork Eater, and, in particular, a rich and powerful man, head of the Turkish secret service, who has a mirror that predicts an apocalypse in Istanbul. All are linked by Bünyamin, son of the man who created the atlas, who gets hold of a special black coin, seeks to avenge his father and gets caught up in every conspiracy going at that time. Sadly, it has been translated into French, German and Korean but not English. The latest addition to my website is Bilge Karasu‘s Gece (Night), a blistering post-modern, Kafkaesque parable which could be Turkey but also could be any other police state. There are essentially three things going on. The first is the night workers, symbolically representing the secret police, who come out at night and randomly arrest, torture and kill the citizens. The second concerns a man known only as N who is followed and then set up by three secret police agents (two of whom knew him as a child). Finally, the author intervenes, telling us what she is doing but also telling us that she and the others are unreliable narrators, all of which adds to the Kafkaesque dystopian effect. It is grim, it is post-modern but it certainly conveys the horrors of contemporary Turkey. 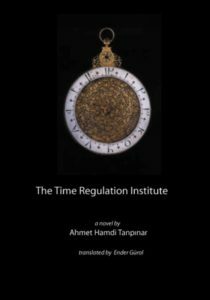 The latest addition to my website is Ahmet Hamdi Tanpınar‘s Saatleri Ayarlama Enstitüsü (The Time Regulation Institute). As part of his reforms, Kemal Atatürk decreed that every town should have a clock so people would know the precise time. This book satirises this. We follow the life of Hayri Irdal in some detail. He is a man who has had a difficult romantic, financial and professional life with a few ups and a lot more downs. However, he has taken an interest in timepieces and when he meets Halit Ayarcı, the two join forces to create the the Time Regulation Institute. Its function is to regulate timne in Turkey. People can check their timepieces at various convenient places and can be fined for having a timepiece which is not accurate. Tanpınar satirises the whole enterprise, from its excessive staff to Hayri Irdal’s biography of the great Ahmet the Timely, their inspiration and patron saint, who did not, in fact, exist. Tanpınar’s satirical method is to treat it all with deadly seriousness, even while satirising the whole enterprise. At times, particularly with Hayri Irdal’s early life, it drags a bit but is an excellent satire. The latest addition to my website is Nedim Gürsel‘s Boğazkesen, Fatih’in Romanı (The Conqueror). 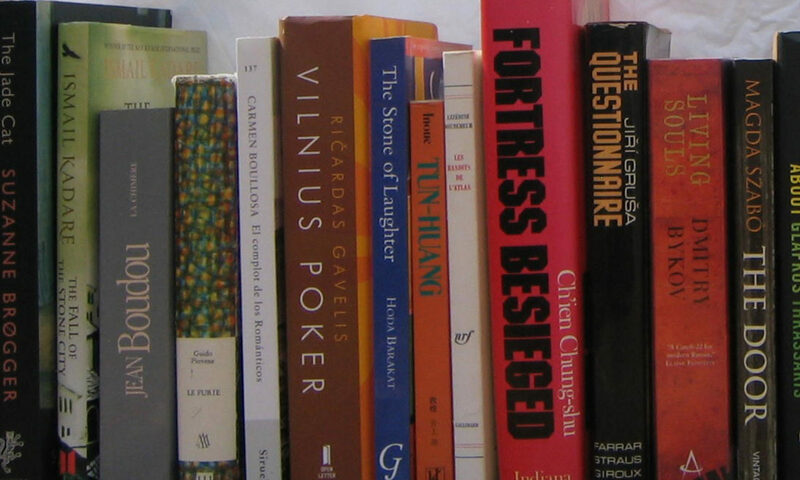 Gürsel is one of the foremost contemporary writers but this is only one of two of his books translated into English. The eponymous conqueror is Sultan Mehmed II who, among many other places, conquered Constantinople. 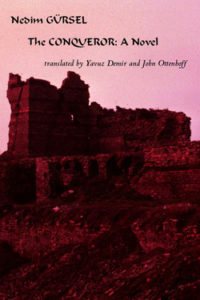 Gürsel tells two stories: the story of Mehmed and his conquest of Constantinople, but also the story of a contemporary Turkish novelist, Fatih Haznedar, who is writing this novel, while staying in a riverside house opposite Mehmed’s fort of Boğazkesen, the Turkish title of this novel. 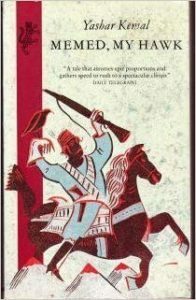 We follow Fatih’s struggle with the novel, culminating in the 1980 coup, while learning about what drove Mehmed to conquer Constantinople, aged only twenty-one. Gürsel tells a first-class tale and this novel should be better known in English. 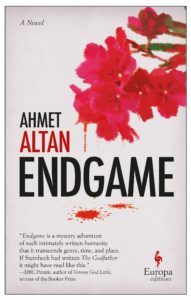 The latest addition to my website is Ahmet Altan‘s Son Oyun (Endgame). Altan and his brother are both currently serving a lifetime prison sentence because of their alleged involvement in the 2016 coup in Turkey. 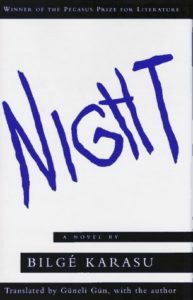 This novel is about an unnamed novelist who goes to an idyllic seaside resort to write his novel and finds that it is in fact in the middle of a serious gang war. He witnesses two murders and, as we learn right at the beginning of the book, has himself shot someone (though we do not know who or why till the end of the book). In the meantime, dodging the bullets, he manages to have affairs with three women, including the women of the town’s two most powerful and most dangerous men. It is naturally all going to end badly and does. 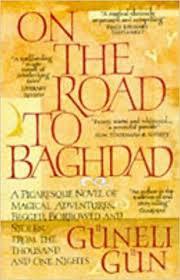 The latest addition to my website is Güneli Gün‘s On the Road to Baghdad. This is an excellent picaresque novel using magic realism and clearly influenced by the One Thousand and One Nights. Our heroine, Hürü, born in late 15th century Constantinople, is the daughter of a former Karaman prince. When he and his wife set off for Mecca, Hürü is left behind in the care of the local imam. When he tries to seduce her and fails he complains to her parents. Her half brother returns to Constantinople and then takes his half sister to Konya, where he ties her to a tree. The rest of the story involves her adventures both in time and place. She travels back to ninth century Baghdad, travels forward to modern New York, meets Scheherazade, whose version of the One Thousand and One Nights story is somewhat different from the one we know and, often disguised as a man, runs around the Middle East in a series of picaresque adventures. It is all a very cleverly done, very funny and highly original. Well worth reading. The latest addition to my website is Yaşar Kemal‘s İnce Memed (Memed, My Hawk). 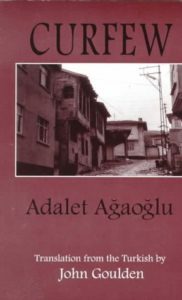 This is a classic Turkish novel about good vs evil, specifically the story of a young man who resists an evil, cruel, grasping landowner, and fights Robin Hood style, for the poor and downtrodden. Memed is a young farm worker, who becomes an outlaw when the landowner tries to force Memed’s girlfriend to marry his nephew and when he punishes Memed’s mother because Memed tried to run away. Memed becomes a hero to the ordinary people of the area, as he fights the landowners, the police and even the government. The novel was very successful, both in Turkey and elsewhere and is an excellent read.